Is your property’s roof in need of repair? Suffolk County Gutters can help ensure that your roof is in the best condition possible. A problematic roof on a commercial building is costly. Not only does a bad roof damage your property, but it can also damage valuable items inside, items that you will be responsible for. Keep your tenants happy and yourself free from unexpected costs by having your roof regularly maintained. Our team can do everything from small patches to full replacements. We are happy to do regular maintenance on all of your properties and we even do roof installations on brand new construction. You can count on us to deliver professional service backed with years of industry knowledge. We never cut corners because we know that you are putting your trust in our work. We are never late and we always get the job done right the first time. 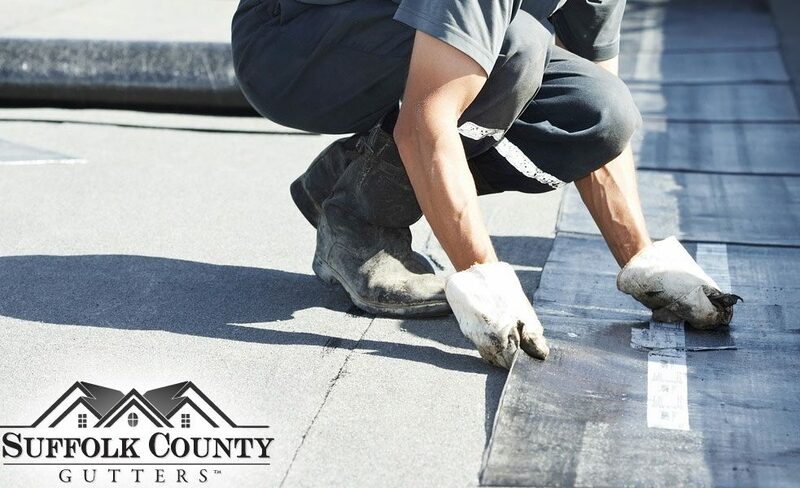 Suffolk County Gutters is the leader in commercial roofing services and we can help you no matter the size of the project. We specialize in customer service and pride ourselves on our workmanship. Don’t take any chances with your property’s roof – sleep better knowing that your building is covered (literally).